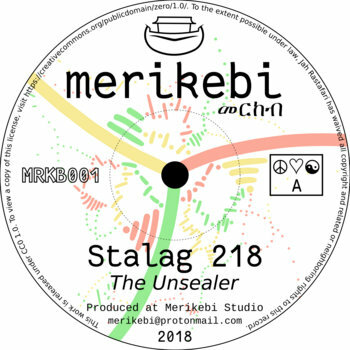 The Merikebi studio offer as free download the single "Stalag 218". On the official website you'll also find archives of the master recordings and the audio/midi sources. Nice! I like the horn and flute playing. also great use of the phaser..
A few of the drum fills seem to be not very tight. Maybe the groove is slightly different on those, or at least different than the other instruments. Also the guitar-like synth sound is interesting with it's glass-like texture. It could be a karplus strong sound from a digital or modular synth? Overall it's a very nice track and dub mix. I definitely agree about the drum fills, to be quite frank it's the first time I ever play drum fill from scratch so I was already pretty happy to reach something not completely off, I did notice what you mention (some inconsistency, I literally played different grooves on purpose thinking it would give more diversity, but that did sadly decrease the overall quality and don't quite match the general groove).... then was not in the mood to improve it, but I'm training specifically on this for the next riddim, I hope to get better on that! - The skank, sometime the sound alone, sometimes with horns and hammond. Which one are you referring to? Intuitively from your mention of "glass-like texture", I would guess the riddim one, is that right? Glad you like it, and thanks for this fantastic website and forums. I was refering to the sound that follows the bass line. It have truly amazing sounds, I'm using it again for the next riddim... there is some mind blowing glass sounds. It is a default synth included with Reaktor, I highly recommend "blocks" if you look into it. In case you don't know it yet that's basically a software version of a modular synthetizer.